Looking for some good training? Techletter is unbiased, practical, and interesting. Hantavirus is a rare but often fatal disease caused by a virus most commonly carried by the deer mouse (Peromyscus maniculatus) and, in some areas, other species of mice such as the white-footed mouse (P. leucopus). Through August 24, 2006, a total of 451 cases of hantavirus pulmonary syndrome (HPS) had been reported in the United States. Thirty-six percent of all reported cases resulted in death. About three-quarters of patients with HPS have been residents of rural areas. While rare, hantavirus is of special concern because of its high fatality rate. The disease begins with flu-like symptoms, but the lungs begin to fill with fluid, and death from respiratory failure can be rapid. The virus has been documented in 30 states, with the majority of cases in the western United States. The virus is spread through the urine, saliva, or feces of rodents (particularly the deer mouse but also the white-footed mouse in some areas of the country), most often when the virus becomes airborne and then is inhaled. If you are regularly exposed to rodents in suspected hantavirus areas you should follow the special recommendations of the Centers for Disease Control (CDC). 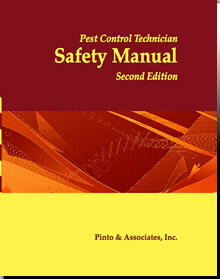 As of this writing, those recommendations include medical monitoring, using a respirator with a “HE” (High Efficiency) filter (any N100, R100, or P100 filter is classified as an HE filter­) and gloves when removing rodents from traps or handling rodents, washing and disinfecting gloves before removing them, and regularly disinfecting traps and other rodent equipment. Traps, gloves, and other items can be disinfected with a general household disinfectant followed by soap and water. A hypochlorite solution prepared by mixing three tablespoons of household bleach in one gallon of water may be used in place of a commercial disinfectant. In hantavirus areas you should dispose of rodent carcasses by placing them in a plastic bag containing a sufficient amount of a general-purpose household disinfectant to thoroughly wet the carcasses. Seal the bag and then dispose of it by burying in a two-foot deep hole or by burning. If burying or burning are not feasible, contact your local or state health department about other appropriate disposal methods. These recommendations generally apply in areas that have had problems with hantavirus. Be aware, however, that hantavirus may appear anywhere, and take precautions when working in accounts that are or may have been infested with deer mice. 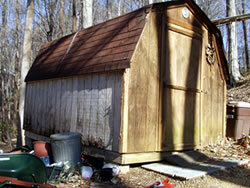 Be particularly careful in attics, crawls, and outbuildings in rural and suburban areas. Always wear a respirator and use gloves if you believe there is risk of hantavirus. 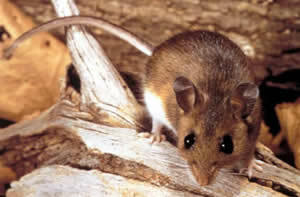 Note that the virus can be present in dust and debris even after infestations of deer mice have been eliminated. Typical mouse control programs aimed at the house mouse probably do not require the use of respirators, but you should still wear gloves and take care when servicing traps and bait stations. Wear a respirator with an HE filter whenever cleaning up or otherwise disturbing large accumulations of rodent droppings.